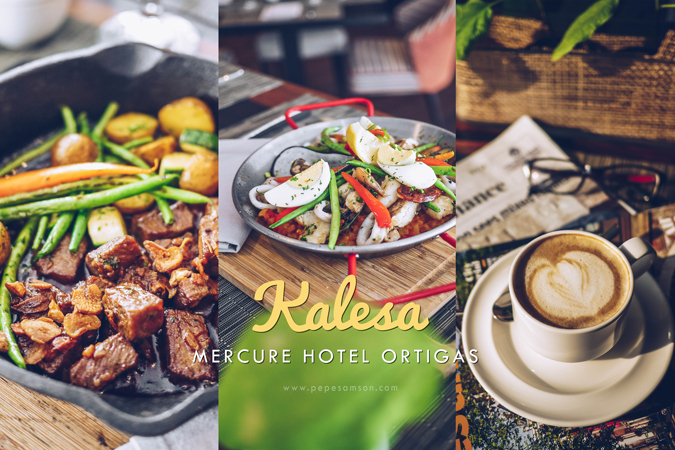 Home / accor / filipino food / food / hotel restaurants / international cuisine / kalesa / mercure hotels / mercure ortigas / pasig / restaurant reviews / The Foodie / Kalesa in Mercure Ortigas Takes You to a Ride Around the Philippines—and Beyond! Kalesa in Mercure Ortigas Takes You to a Ride Around the Philippines—and Beyond! 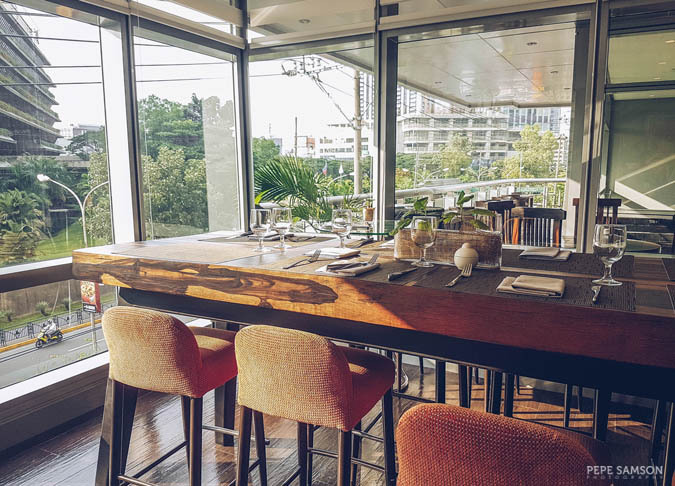 In a city that tries its best to churn out creative fusions, only a few establishments stand out. 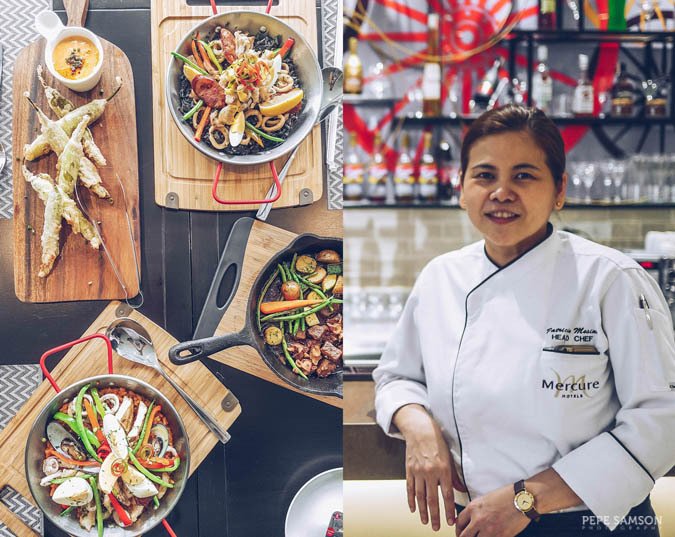 One such place is Kalesa, Mercure Hotel Ortigas’ in-house all-day dining restaurant headed by Chef Patricia Mesina. 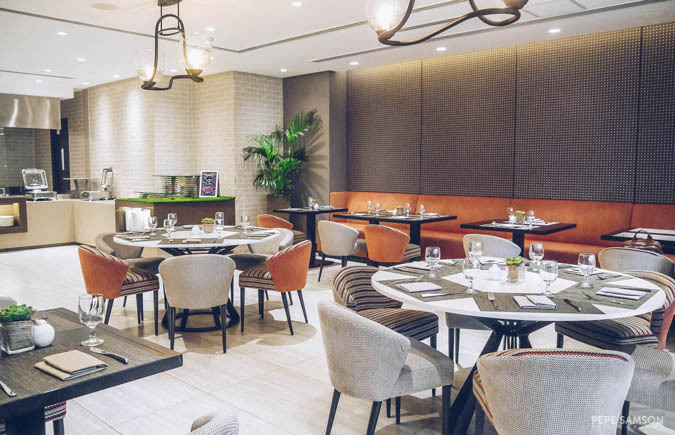 Offering an extensive menu of international and Asian dishes, Kalesa is a new addition to the growing list of dining venues in Manila, but one that is a lot more ingenious, refreshing, and definitely welcome. 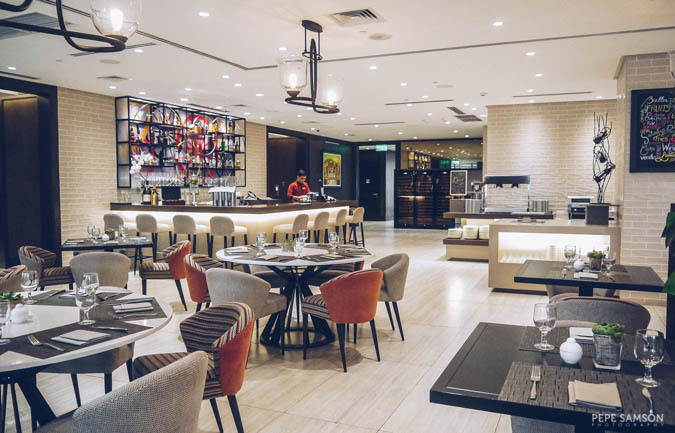 The restaurant, located at the 3rd level of Mercure Hotel, promises not only a journey through Filipino cuisine but also around the world. Interestingly, Kalesa does not focus on Pinoy food alone but instead spices up our local favorites with elements and techniques from other cuisines. 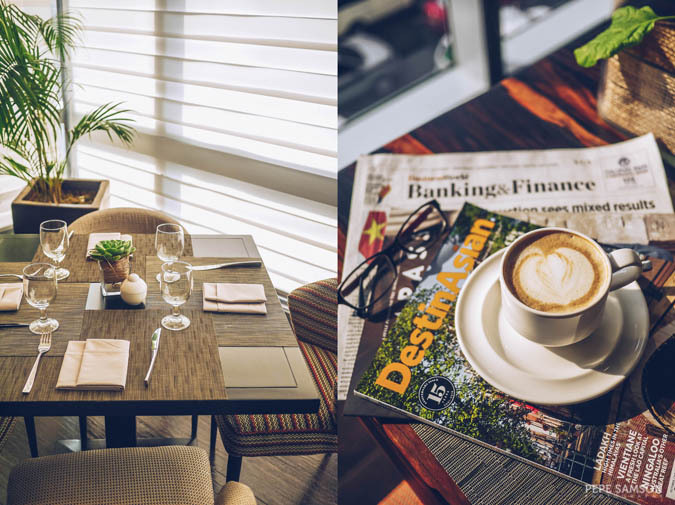 The restaurant’s offerings are as vibrant as its interiors—sophisticated yet familiar and approachable. 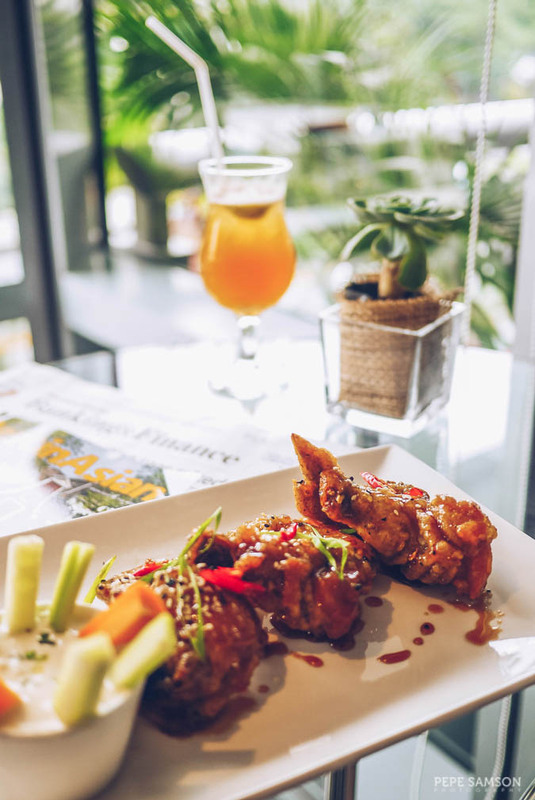 Fans of chicken wings would surely love the Asian Style Buffalo Wings in Labuyo-Honey Glaze (PhP390)—a delicious fusion of sweet and spicy. I will not judge you if you let go of all restraint and gnaw at these things with your hands. The feta ranch dressing it was paired with was so addicting. 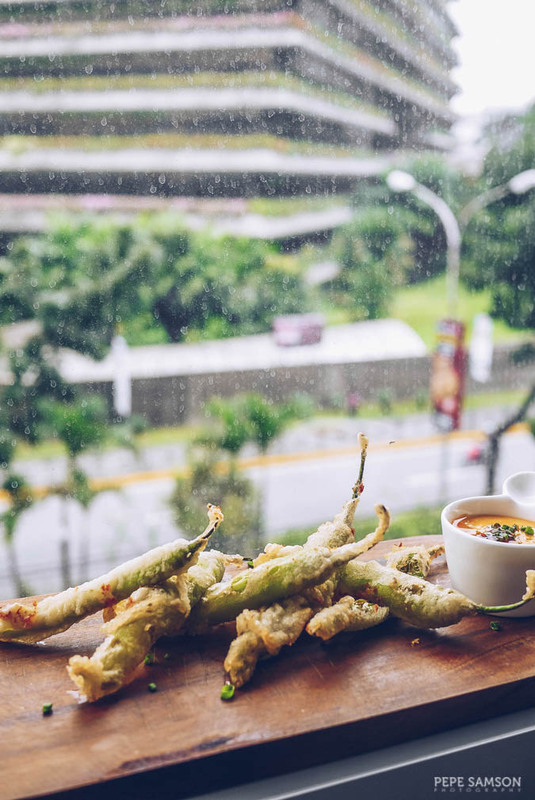 The Green Chili and Cheese Tempura (PhP300) takes inspiration from the classic Filipino pulutan (bar chow), dynamite, and elevates it a few notches higher. The chilies are stuffed with mozzarella and cheddar cheese before getting enveloped in a light beer batter, but instead of overly crispy sticks, the end products are delicate dynamites with a slight crunch. If they aren’t hot enough for you, dip them into the Sriracha-garlic aioli they come served with. If you love salpicao, get one of the best renditions at Kalesa (PhP690). Chef Patricia uses only premium meat—USDA Angus Ribeye—resulting in a plate of ultra-tender beef cubes, with just the right flavor of garlic. Whether you like it with rice, with beer, or with both, you need to order this dish when you dine at Kalesa. You won’t go wrong with Kalesa’s paella risottos—and I was able to try, and would highly recommend, two kinds. 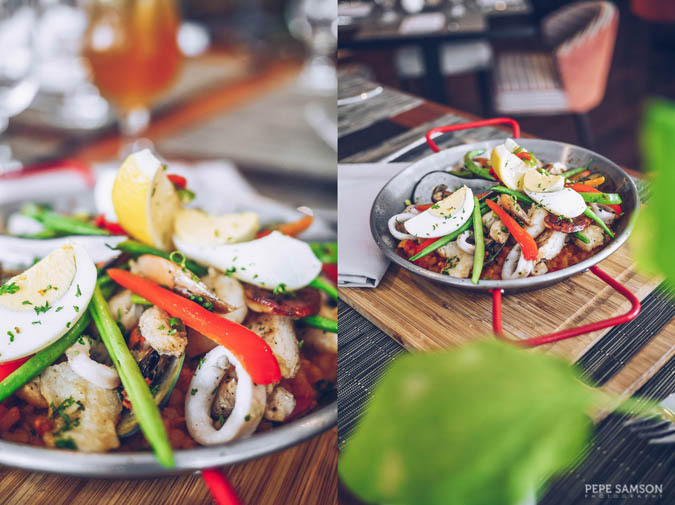 The Squid Adobo Paella Negra (PhP950) is sure to delight lovers of the quintessential Spanish dish: a medley of chorizo bilbao, garlic squid, squid head in beer batter, vegetables, boiled eggs, and Arborio rice cooked in adobong pusit sauce. I loved how the flavor of the rice held everything together, and how the rouille sauce kept things interesting and not overwhelming. 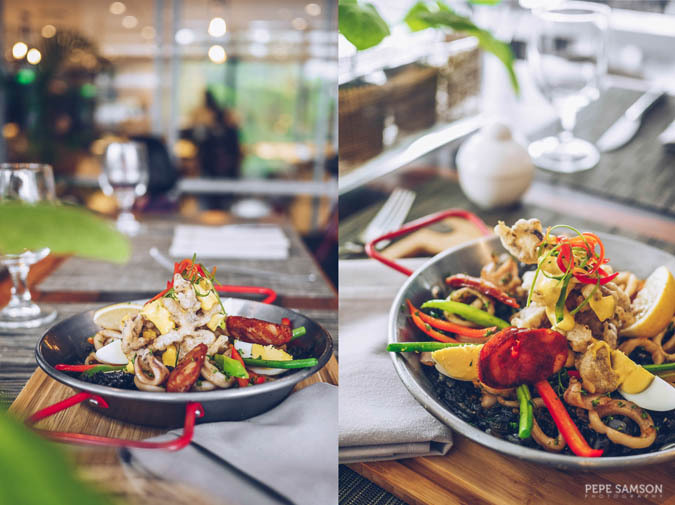 The Seafood and Chicken Paella Risotto (PhP1,000) is a guaranteed crowd pleaser with its generous flavors. Here, land meets sea as chicken, vegetables, chorizo, mussels, squid rings, and shrimps come together in beautiful harmony. The rice is flavored with saffron and tomato—a delicious combination that just demands nonstop spoonfuls. 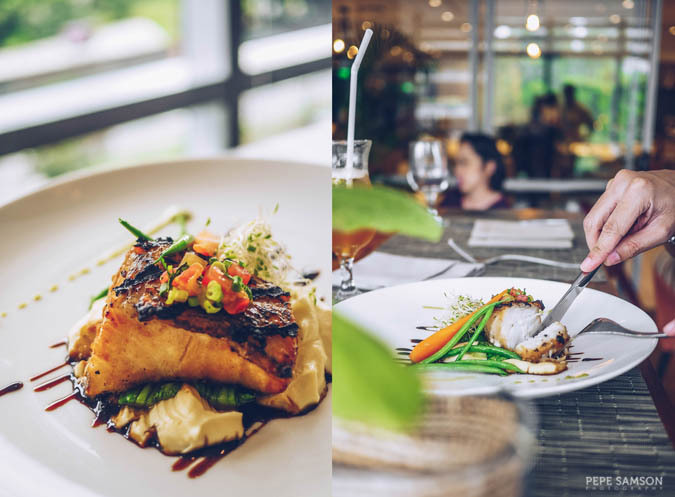 If you’re a pescetarian, order the exquisite Miso-Marinated Chilean Sea Bass (PhP1,750). The grilled fish is flaky, moist, and incredibly tasty, with the sweet soy reduction and wasabi dressing further heightening its flavor. The side potato puree and vegetables are a delight to poke at in between bites of the delicate fish. Don’t skip dessert at Kalesa. Specifically, try a slice of the Tablea Chocolate Cake (PhP225), a creation of pure indulgence. 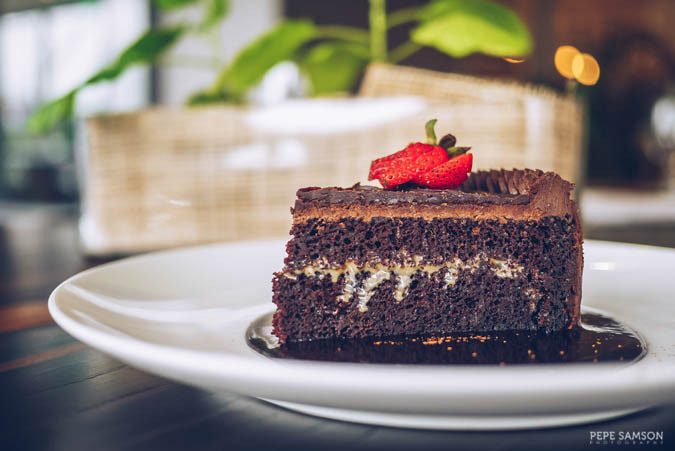 Dark chocolate cake is topped with tablea and dark chocolate ganache, and a strawberry. There’s a sauce underneath that boasts of rich chocolate and berry flavors. This cake is pure sin and pure bliss! 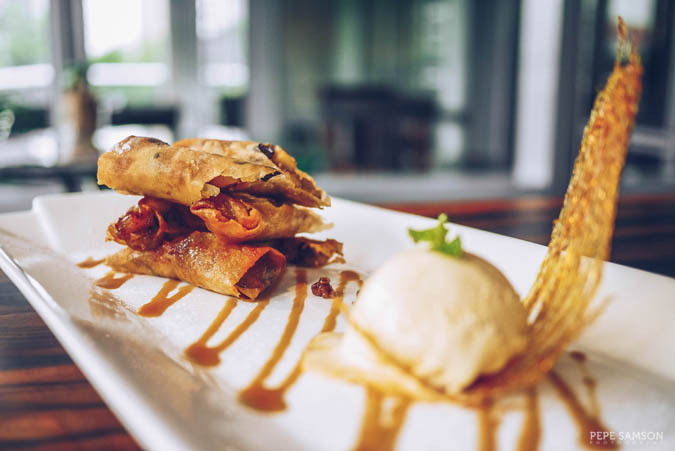 Hard to beat as well is the Apple Strudel Turon (PhP250) served with a dollop of vanilla ice cream and salted caramel sauce. Think of the pastry (or apple pie) but without the phyllo wrapping. And I thought langka (jackfruit) was the best thing that happened to turon! 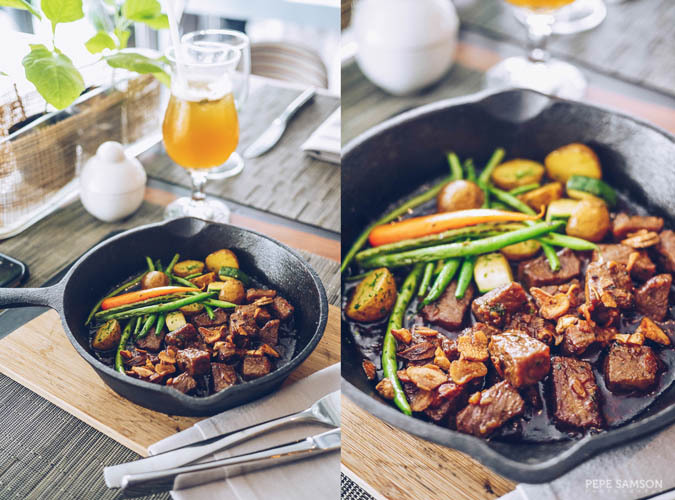 For its name, Kalesa may be surprisingly modern, not a traditional, Filipino-centric restaurant as you would expect. But if, instead, it were a ride, then it fittingly takes you to a slow yet enjoyable journey of food appreciation and discovery. Have you tried Kalesa? What was your experience? What other dishes can you recommend?